I have finished with all of the work on the Winter campaign and now move on to work on the Spring campaign. I will work on the Battle of Friedland first followed by the Battle of Heilsberg. After that some minor battles. I am going to try and research the Austrian army of 1807 and see if I can put an OB together for them. I will then add in some hypothetical battles. In that I already have maps of Silesia from Leipzig I can come up with a few battles. The full campaign could offer an option for the Austrians to enter into the war if the Russians can win a major battle. As Napoleon outnumbered the Allies in the Spring it only is natural to come up with some balancing mechanism. The Austrians would only add about 18 images to the game. That would include unique images for the hussars. Here is a sample image of the "Situation Maps" for CEF. All of the images are done for the Winter campaign. There is a total of seven images. Battle of Friedland OB done. OB_View scenario finished. Working on the researching the battle chronology. Big differences between Zucker and Arnold accounts. Arnold talks about Nansouty's cavalry being lax and attacked by Cossacks while Zucker says nothing about it. Congratulations to you and your team on the development of such an important and little studied campaign. I am sure that all Napoleonic gaming enthusiasts are anxiously awaiting the sale of the finished product. Got the word from Rich that the Graphics Team is now available to work on CEF. Loaded up two artwork groups for them to access and begin working on for the Units.bmp file. A total of 17 artwork groups ranging from 6-9 images each will be worked on over the course of the next few months. 3D artwork images will follow after that. No idea on when the game will release. Right now there are 130 images for the team to work on. Compared to RBR's artwork count of 245 that is a lot less for them to handle. Or put another way - Leipzig, 1814 and Bautzen had 310 images (total). We are looking at half the time it took to complete the artwork for those three 1813-14 titles. RBR - the game which I worked on all last year and part of 2016 - should release sometime in February or March (at the latest) as the 3D and leader image artwork is almost ready for me to review. Keeping the full title a mystery for now. You guys know the period of the game but wanting to keep the name of the title under wraps until its ready to be released. Late for a contribution to the new game but as I did a bit research for Jena-Auerstedt some interesting things came up that can be useful for the 1807 game. First the war establishment of the Prussian troops, these are precise numbers for the size of the various Prussian units, 1806 was a little off with most cavalry too large like the line infantry and the grenadiers & fusiliers too small. AFAIK these numbers were not changed for 1807 as any meaningful changes to the Prussian troops only happened after the war had been lost. Not sure if it helps with newly formed units but I'm sure the maximum size wasn't exceeded so the numbers can be at least helpful in that aspect. 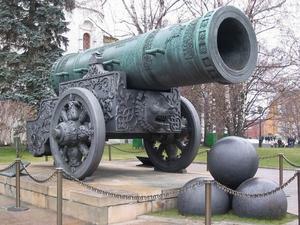 Next interesting stuff is about the rather bad Prussian musket, it was to be replaced but 1806-07 got in the way. That is a factor that surely should go into the game. This is not ALL of his corps: just those troops that fought at Eylau with the exception of the Rearguard which I add into one of the Variant scenarios to give the Allies more troops to work with. These numbers from Kevin Zucker's book "1807: Stalemate in the Snow" (Special Study #3) and were compiled by a friend of his. One of the many reasons why I do not search the German texts is that many of the old books use an ornate font that is just too hard for my old eyes to discern. Frankly I wish that they had used a simpler font but I understand the time when they were compiled. However, I trust the figures in Zucker's books. For the Russians (and the Russian members will find this interesting) I actually increased the numbers in the infantry battalions because they fought with such courage. I also gave them a +1 fanatical morale rating for the Winter campaign. For the Spring campaign - the Russians revert to using standard morale just like the rest of the forces. Its a game design concept - the Russians fought very well in the Winter - not anywhere near as well in the Spring with Heilsberg being the possible exception. At Friedland - the army was not all that excited about having a river at their backs .... the troops were tired from the long march. They didn't have much faith in Bennigsen at that point. One thing I learned through reading about Friedland is that Bennigsen moved the army across the Alle River into that terrible position because Popov, the Tsar's military hatchet man, warned him that if he didn't take action Essen would take over. Rather than tell Popov that he would rather lose his command and save the army, he moved most of the army across. Friedland was not the Russian army at its finest. The Prussian army also had regiments raised that had Polish troops in them. They were prone to desert. As you can see from the OB listed above I have not differentiated from the Polish raised regiments and those of German descent. I cannot find anything in the text that indicates that at Eylau any of the German infantry regiments performed poorly. Is that a typo in the last unit and should maybe be 5/Gordejov DCR instead? That is afaik KR4 in case you want to add a number. If these are companies of the same fusilier battalion you might want to change the name so it's clear that, unlike the other regiments, not battalions but companies are meant. That is afaik HR5 in case you want to add a number. I can fully understand this, I have a hard time too reading some stuff, the font of that time is just awful and if you have a bad scan it takes ages to get through the material. Still there are some so valuable things that one should not miss. For the Russians (and the Russian members will find this interesting) I actually increased the numbers in the infantry battalions because they fought with such courage. I also gave them a +1 fanatical morale rating for the Winter campaign. I understand using fanatical morale but to increase the numbers overall sounds like a very strong boost, are the French so strong that this was necessary? No, those are Fusilier battalions and its a company of a battalion. Not changing the name. 1 E.Prussian Gren. Bn. 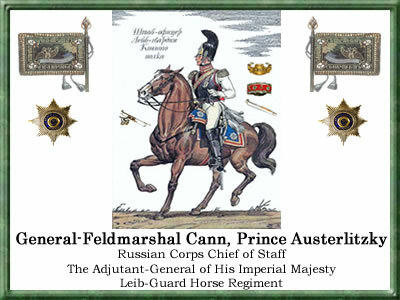 - the 1st East Prussian Grenadier Bn. Thus whenever you see a numeral with a slash in front of the name of a battalion its assumed it means companies. No. Not using the regimental numbers with the Prussians. I did for Jena I don't think but its not necessary for this game. Thanks for catching the squadron number error for the Cossack regiment. I will fix that. "Still there are some so valuable things that one should not miss." (re: German texts) - well they will just have to be missed. I dont have a helper that can spend the amount of time that Warren did in the old books. 1. Merging the two regiments grenadier battalions together. 2. Merging the 2nd and 3rd battalions together for each regiment. The deployment scheme of the Russians with two up and one back is depicted in the Eylau battle scenario but honestly the frontage is not wide enough to do it in every case. You will eventually see just how tight the Russian line is at Eylau. Its wall to wall battalions and guns from the 5th division all the way down to the 2nd division on the left. I did add in the regimental numbers you suggested as I had already started using them. Thanks again! Finished with the initial full battle and segment scenarios (5 of them) for the Battle of Heilsberg. Three variant scenarios for the full battle have been created. More coming soon along with Solo versions as well. Friedland was finished last week. I am moving on to work next on the battles that occurred in the Guttstadt area. 3. The Battle of Heilsberg: Bagration Enters The Fray! The last one could be termed a "forlorn hope" as its almost impossible to win as the French player. Obviously variant scenarios will add in more French troops or change the parameters of the situation in favor of the having a shot at taking Redoubt #3. 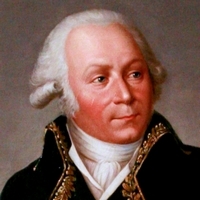 Plain and simple Lannes screwed up in sending Verdier's division in a night assault when the battle was already over. I have finished with all of the battles of the 1807 Spring campaign in the main campaign arena. With the completion of the Guttstadt and Deppen battles I move on to do the small "2nd Ostrolenka" and then the attack by Kamenski-2 to try and relieve the Danzig fortress. Historically the attack by Kamenski-2 failed probably due to the fact that he was not supported from the east. Danzig fell a few days later. 2nd Ostroleka was a minor offensive by the Russians to attack Massena's V Corps. Savary had lost control of that corps due to his near run incident with the Russians back in later February. Massena's counterattack restored the situation and the Russians on that front were never a threat again. Following these two battles I will work on the 1807 Spring Campaign situation maps and then move on to do the campaign files and scenarios. Once the playtesting has completed for each of the battles I will add in various "Variant" scenarios. The "Solo" scenarios are almost all done. I just have to add in Solo scenarios for the new work I did last week. 1. Swedish campaign in Pomerania. I dont want to bother the artwork guys with the additional images. I can just as easily borrow the artwork from Campaign Bautzen and produce a "mod" of my own later. 2. Austrian intervention. I really toyed with the idea of doing this but again I can build my own mod and use the artwork from the other games that feature the Austrians. The 1805 game has all of the graphics I need. 1. We have wanted the game for some time. 2. Its been delayed due to life issues. 3. Lets get the game out with a robust amount of battles (24-25 is what we have right now) but lets not go overboard like I have done in the past. The playtesters will tell you - by the time you finish playing the battles in the game you will be pleased with what is included! My Frenchmen are assaulting the Redoubt #1 and #2 in a playtest game of "The Battle of Heilsberg - Segment 4" with Paul Synnott. His cavalry charged my infantry and drove some of them away but I cling to the northern edge of Redoubt #2 and am working my way around the southern flank of Redoubt #1. Its a bloody scenario which uses a submap of the full Heilsberg map all about the assault by Soult and Murat on the two redoubts. I have had to play "Panzer Bush" to try and keep my men under cover as they advance with only partial success. 2 and am working my way around the southern flank of Redoubt #1. Heh heh...we'll see about that. 45e Régiment d'Infanterie de Ligne. Did much happen with the Swedes except for sieges? No loss if this is not covered by the game. And the Austrians are a not very plausible What-If, also not loss if the game doesn't cover it. With the Swedes there were a few actions but nothing substantial. The Austrians lost interest with the fall of Danzig. After the 1805 debacle they knew that their army was not ready to face Napoleon. Even in 1809 Charles didn't want to fight but the old King and his advisors had to have their war. I am even thinking of junking the idea of doing the Danzig sortie scenario and just move on to do the rest of the work. I can always add it in later. The reason: well look at the games played of the 1813 Leipzig game - if you see a club game of the Danzig sortie scenarios I added into the game let me know because I dont see it. I am pressed for time here and nothing is certain as far as where I will live goes. So I am going to press on and work on the Spring Campaign Situation maps and then the two campaign files. If I find I have time I will add in the siege sortie scenario (May 15th). Finished up with the 2nd Ostroleka last night so this is good.